Toys R Us is going broke - And I got some for free! I’ve been stopping by my local Toys R Us recently, just to see what’s going on. The stock is low. The discounts are so-so. 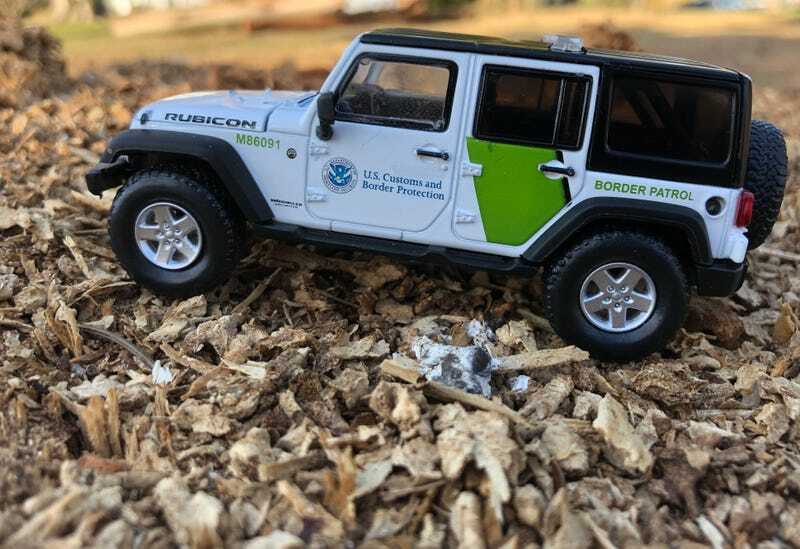 I did buy some stuff, but today on the Live and Let Diecast Podcast Episode 7 (soon to be released), I found a Greenlight Border Patrol Jeep Wrangler. It didn’t a UPC sticker on it. The nice guy at check-out said “it’s yours!” Free is good. Be sure to check out Episode 6 if you haven’t already!